Hi! I’m Kaylee, I’m 23 years old and I will have been working as a barista at Beyond Café at the Century Plaza hotel for two years this August. Guests ask me what my favourite coffee drink is, and I wish I could tell them some fancy-type “half-sweet, white chocolate, long pour, 2 %, extra hot, dry cappuccino”, but honestly my favourite is our medium size, medium blend drip roast coffee, which our regulars have lovingly coined as the “Medium, Medium”. Some people might say I’m boring, but I say why complicate something that is already perfect on its own! Isn’t that what great coffee is really all about? Quality, simplicity, a perfect brew and the enjoyment you get with each sip. Kind of like a good book! All my life I have loved reading. Unfortunately, when my post-secondary academic career began my love of reading took a hit (I mean, who really wants to start another book on top of a mountain of assigned text readings, scholarly articles, papers, lab reports and exams). In 2011 I decided I wanted to start reading again and the best way to do that would be to challenge myself and see how many books I could read in a year. I set myself a couple of simple rules: 1) I have to have read the ENTIRE book, beginning to end and 2) School comes first, no matter how boring some of my required readings are (I’m a environmental studies major, you have no idea how dull rocks and geological processes can get). In January, I began my challenge by re-reading one of my favourite books; Joseph Heller’s “Catch-22“. Captain John Yossarian, the protagonist, is my all-time favourite anti-hero. He rests precariously on the cusp of sanity and insanity, questioning big ideas such as the War, the Army and the inevitability of death on the beautiful Island of Pianosa during the Second World War. What I love about this book is, despite its satirical nature, how authentic the characters really are, an authenticity which is furthered by each of their flaws, much like real people. By December of 2011 I had finished 24 different novels, from every genre, and at varying difficulties. I was proud! This is not something that every full-time student/part-time barista/socialite/adventurer/rock-enthusiast is capable of! Books are more than just bound words on pages. They offer us a glimpse of life from another’s perspective, they ask big questions, they develop mystery, excitement and contestation, they teach, they entertain and they bring people together. Much like the café, books are a site where people come together, interact and empathize with one another. So I offer you a challenge, how many books do you think you can read in a year? And what book would you start with? Would it be one of your favourites, or something you’ve always wanted to read but haven’t found the time? Either way, you won’t know unless you try, and if you do try, try to stop by the café so we can discuss our latest reads. You know I’m a reader and I love coffee. I haven’t had the pleasure of having coffee at your place but it’s on my to do list. 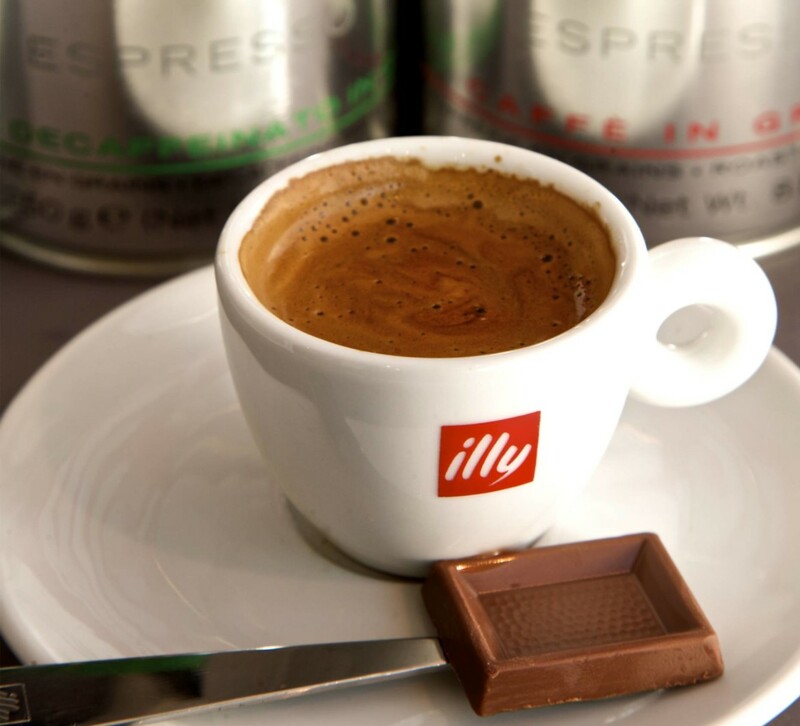 I know you will love our Illy Coffee,the warm friendly staff and surroundings at Beyond Coffee.